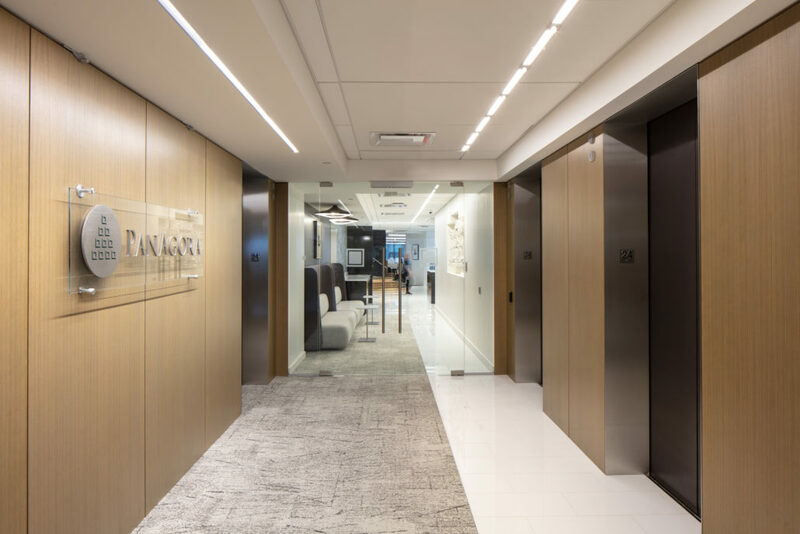 PanAgora Asset Management is an advanced, next generation Quantitative Investment firm. 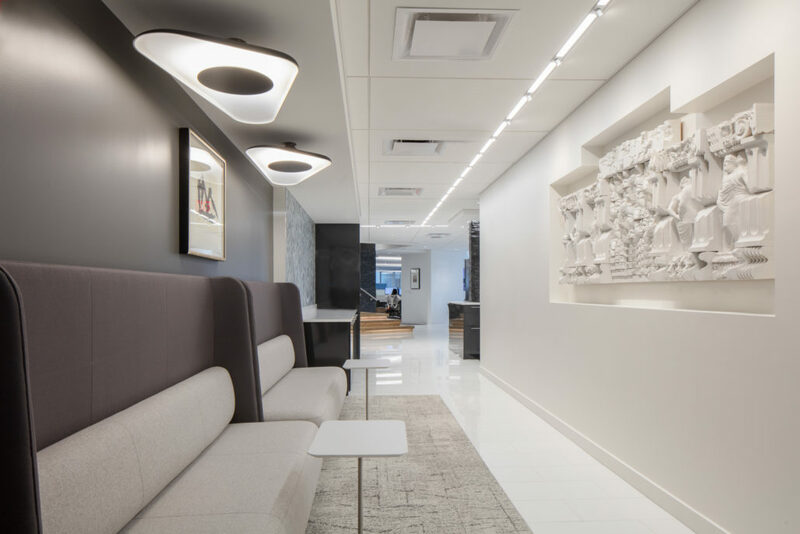 Coming from a one floor space at 470 Atlantic Ave, to a multi-floor space at One International Place, this relocation created challenges between various teams. 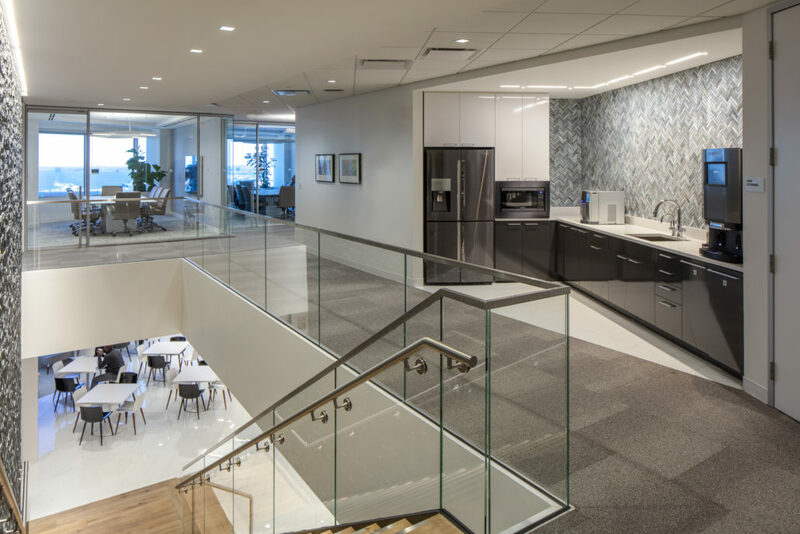 During the visioning process, it was determined a central location for a grand interior stair and a large focal lounge space would be ideal in order to maintain collaboration and interaction between teams. 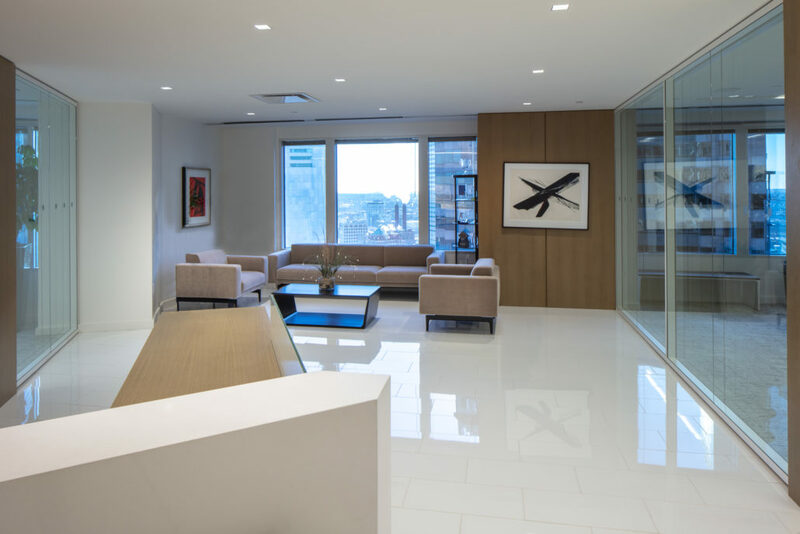 Various materials were used throughout the space, including stone, tile, stainless steel and glass to create interesting textures that would serve as a focal point; visible from the reception area and extending through to the lounge space. 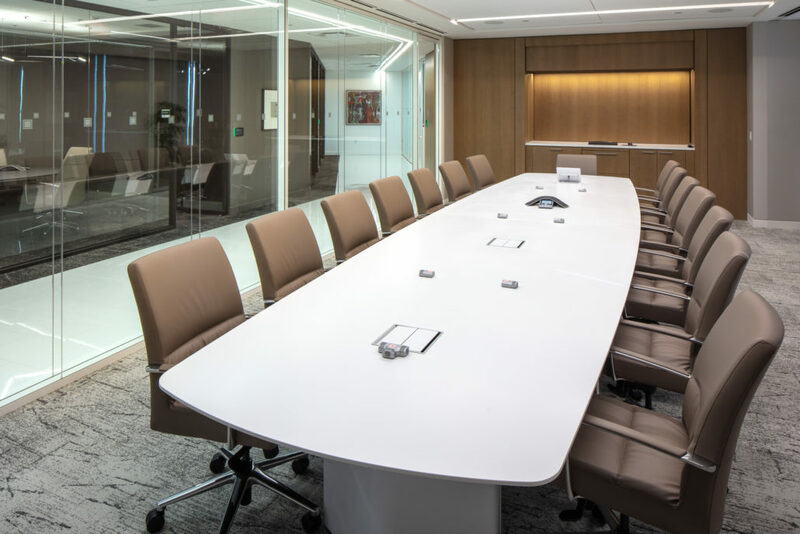 The use of dark and light finishes and materials was a design concept used to create a visual divide between interior conference rooms within the conference center. 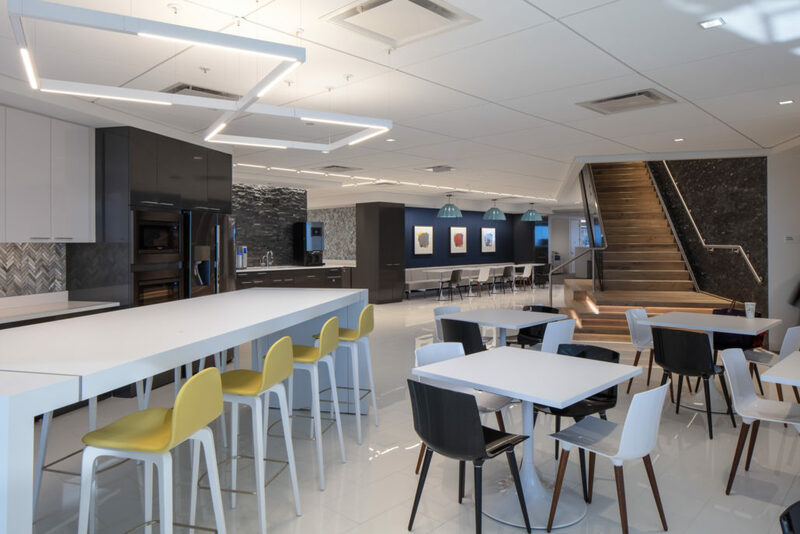 PanAgora is truly an open, collaborative environment. 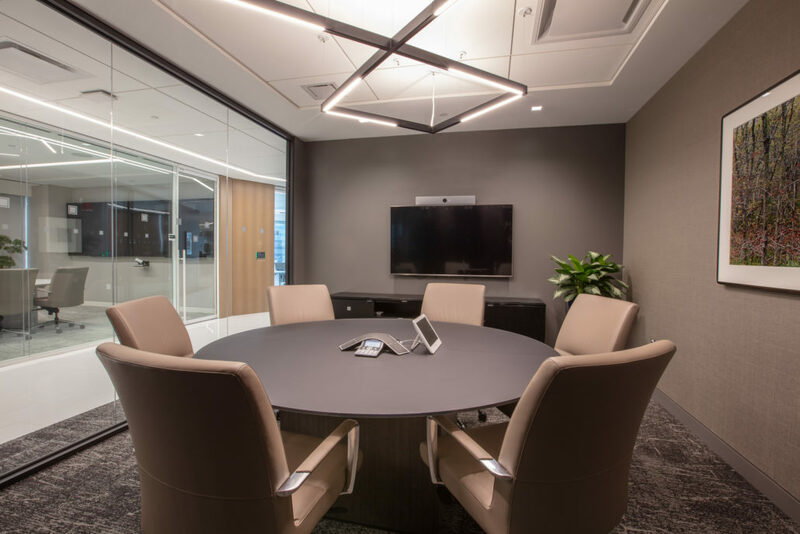 Only a small number of glass front offices are present, with most of the workspace being home to workstations that channel an energetic and engaging environment.